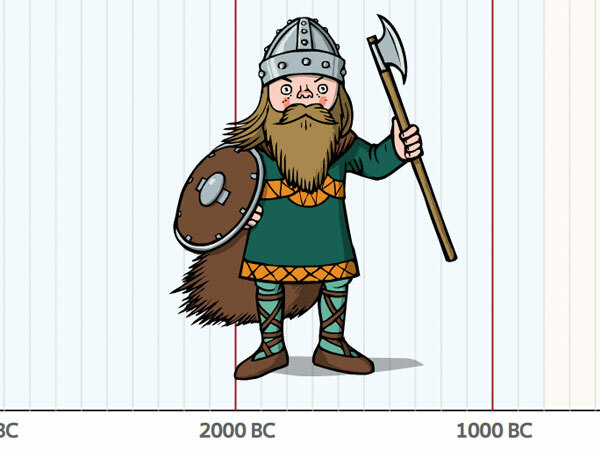 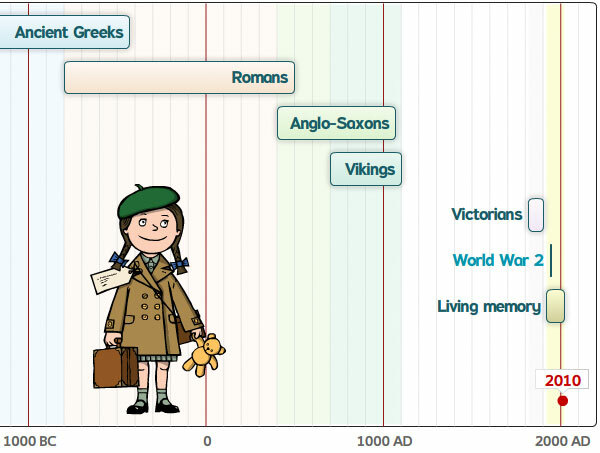 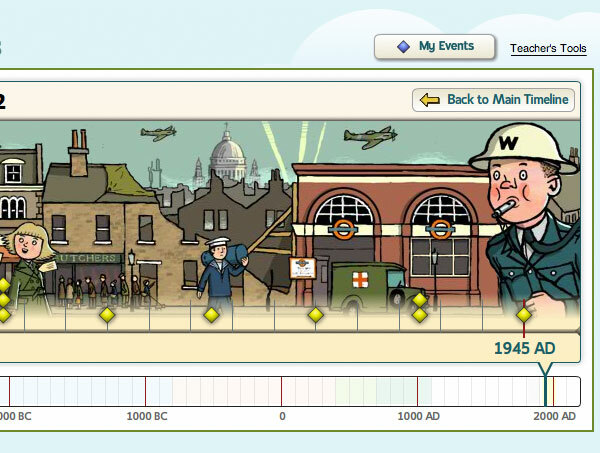 Explore an illustrated and animated timeline of events from Ancient Greeks to iPods! 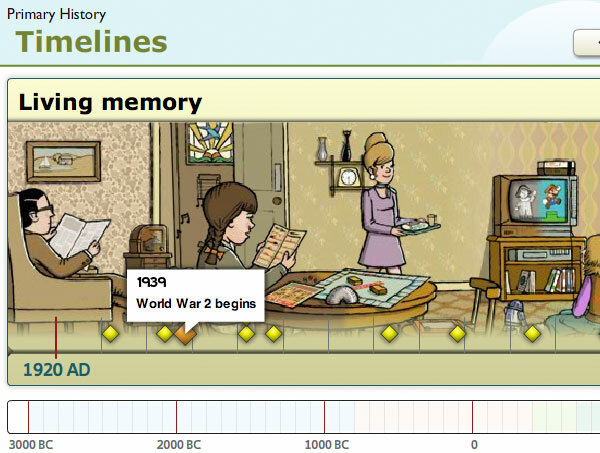 Designed as a fun tool to teach the passing of time to Primary age schoolchildren, the timeline also gives teachers and students the opportunity to add their own chronological events, and see them in context of world events throughout the centuries. 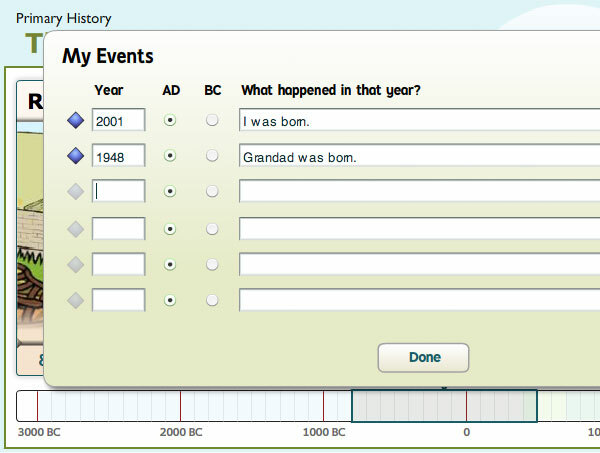 Other useful features (coming soon) are an IWB mode, print outs of each era including the user’s events and the option to customize the timeline according to teaching needs.